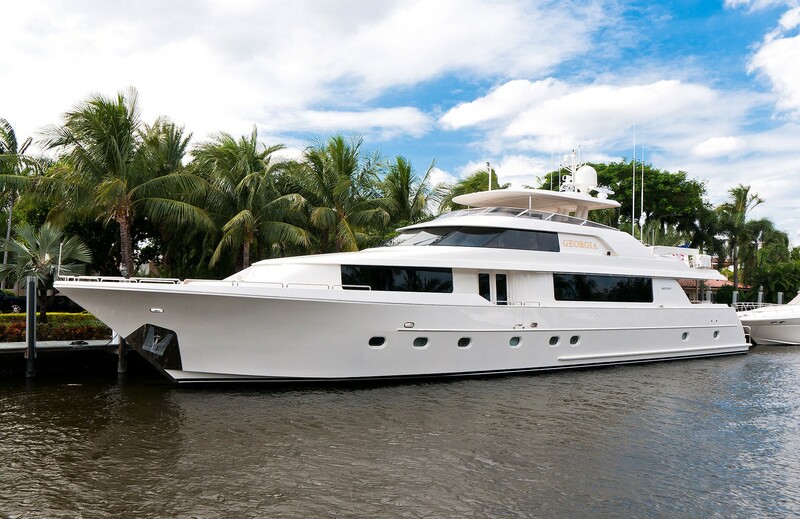 Luxury motor yacht WILD KINGDOM was built in 2011 by the well renowned US Westport yachts and measures 34.14m (112ft). 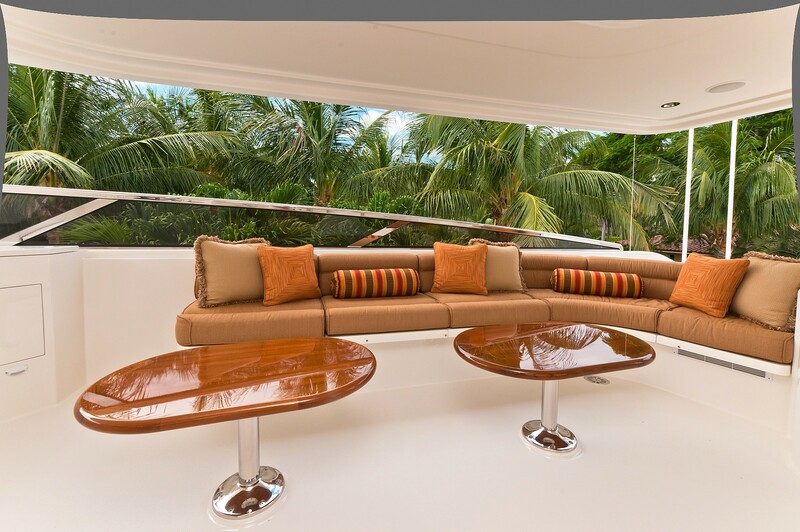 Boasting a spacious and refined elegant interior and expansive exterior living, M/Y WILD KINGDOM offers deluxe crewed yacht charters for up to 8 guests, in 4 en-suite cabins. 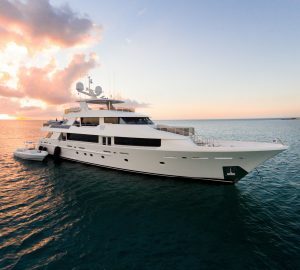 The WILD KINGDOM yachts’ shallow draft and speed make her ideal for chartering in the Bahamas. 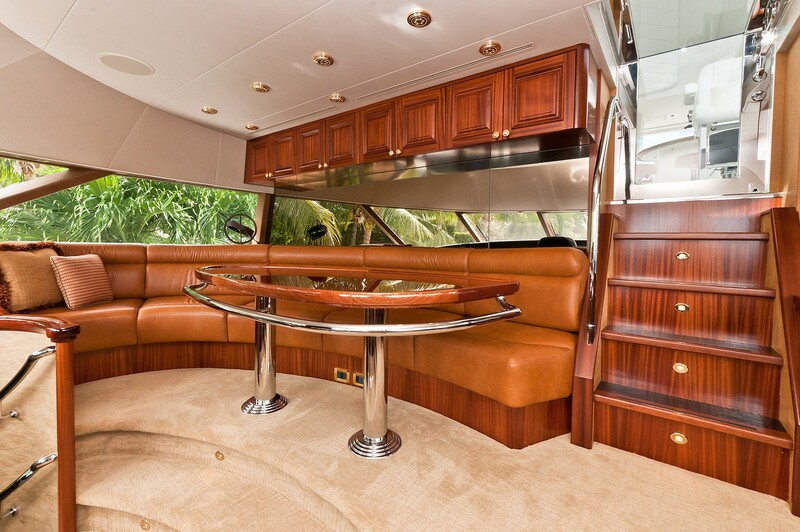 Motor yacht WILD KINGDOM’s décor is timeless exuding quality and style. 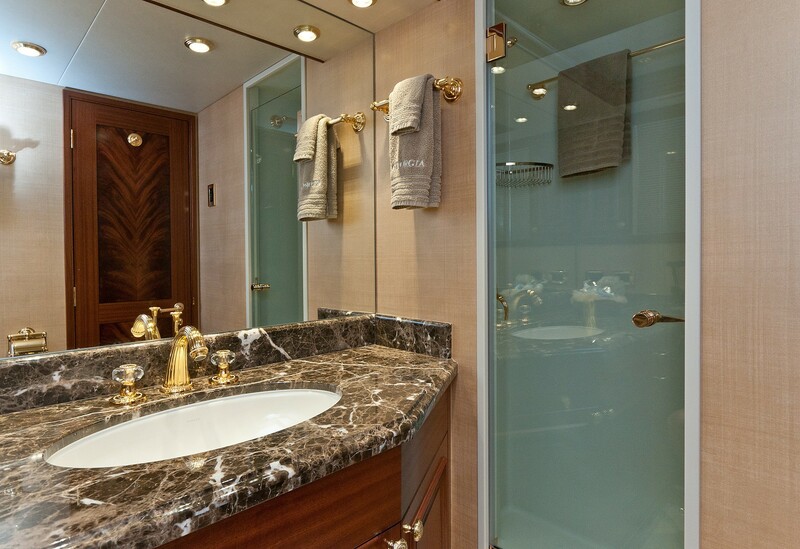 Neutral soft furnishings, fine woods, bespoke finishes and sophisticated marbles, create a welcoming fresh ambiance throughout. 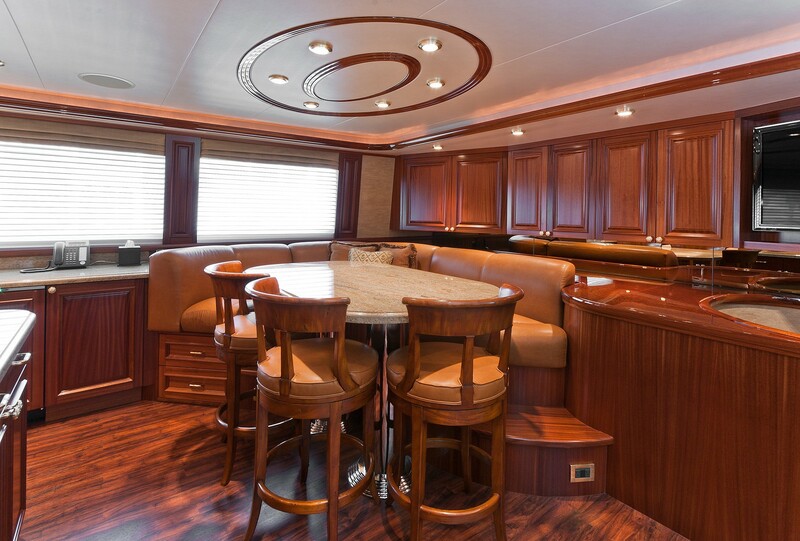 The salon and dining is a contemporary open plan, featuring the social lounge aft and formal dining table forward. 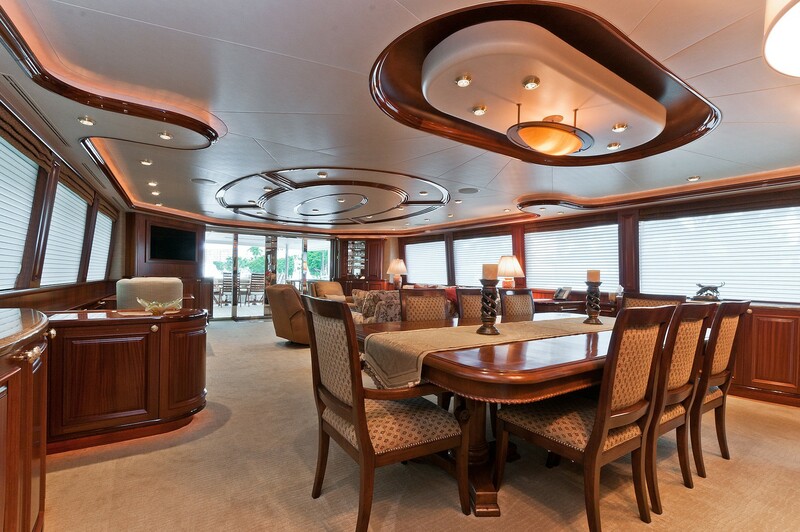 Surrounding panoramic windows ensure optimum natural light, while providing uninterrupted views. 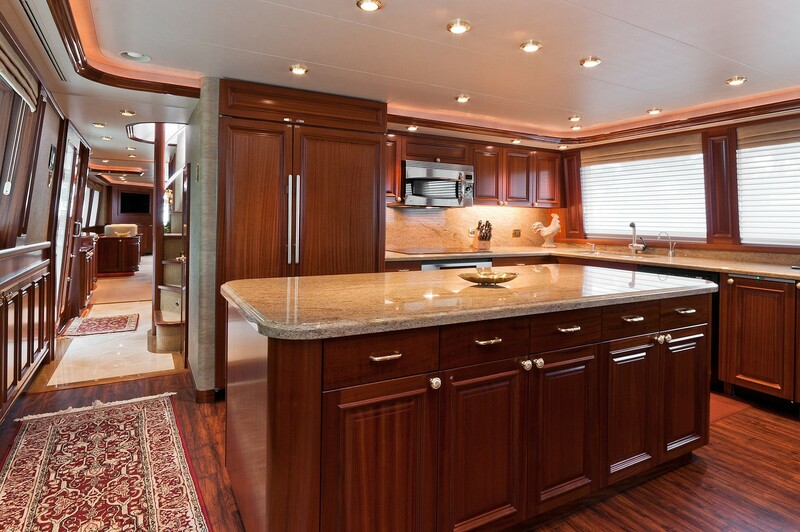 A foyer on the starboard side has access to 3 guest cabins below decks and continues forward to a large country style galley. 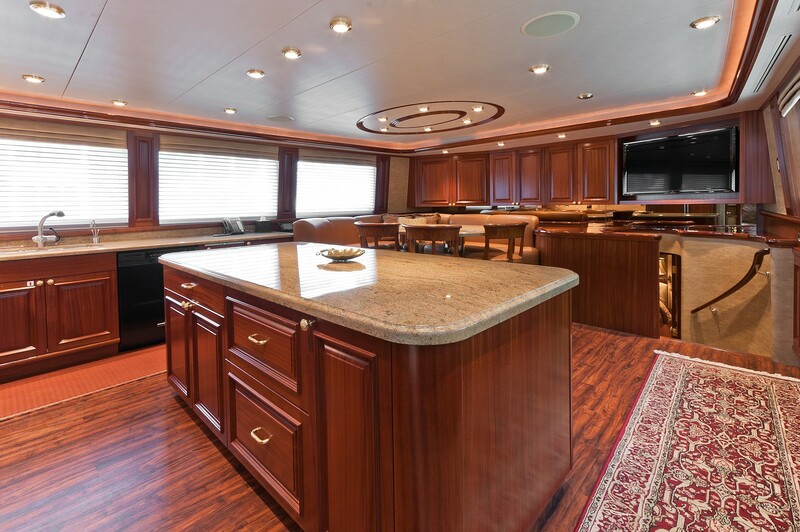 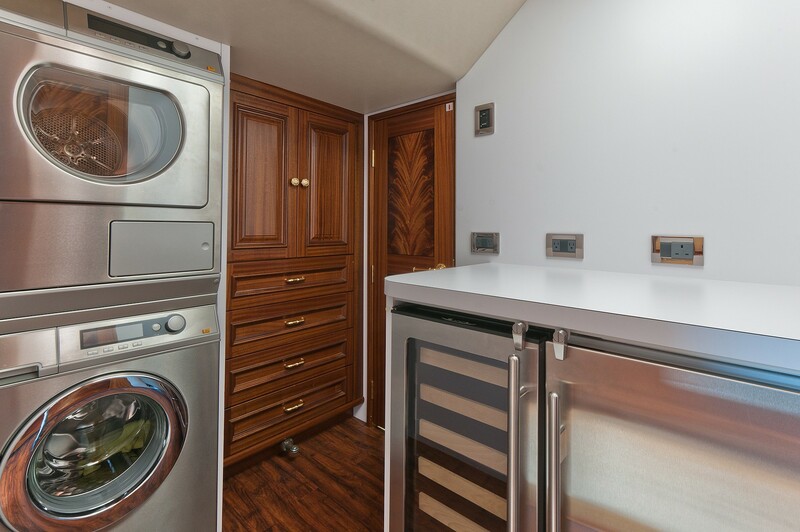 The galley is equipped with state of the art kitchen appliances and offers a further more casual dining table. 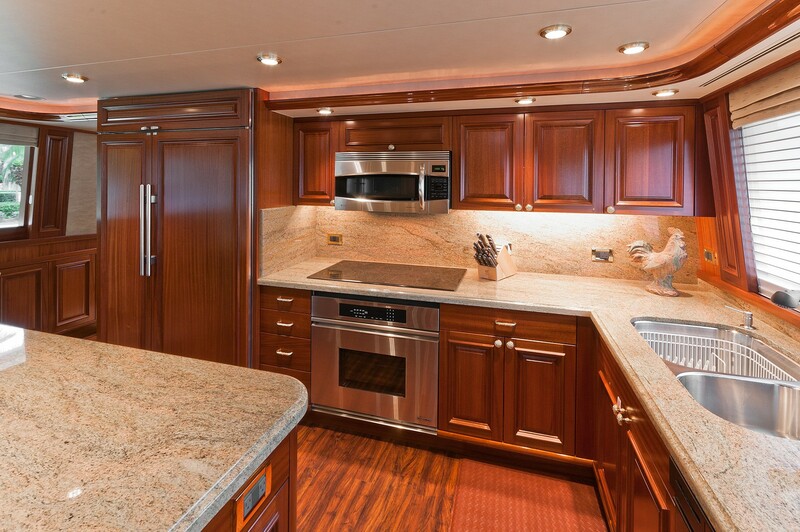 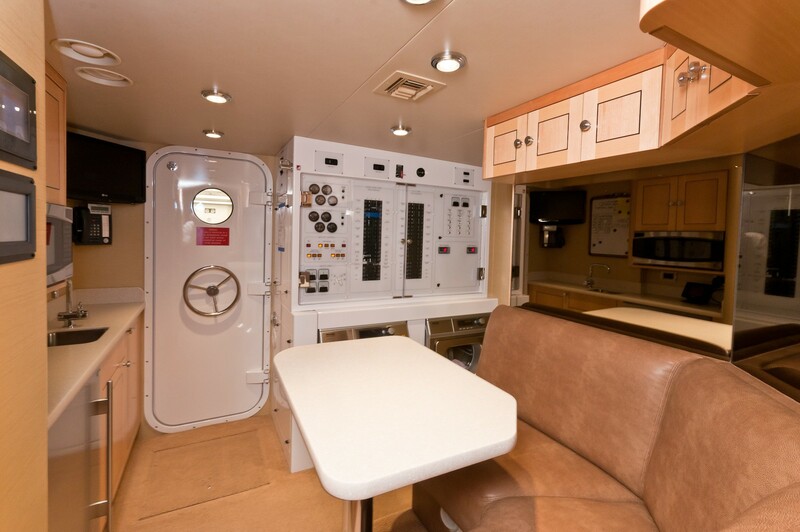 Forward of the galley, a private entrance leads to the full beam VIP cabin, with center lined queen size bed. 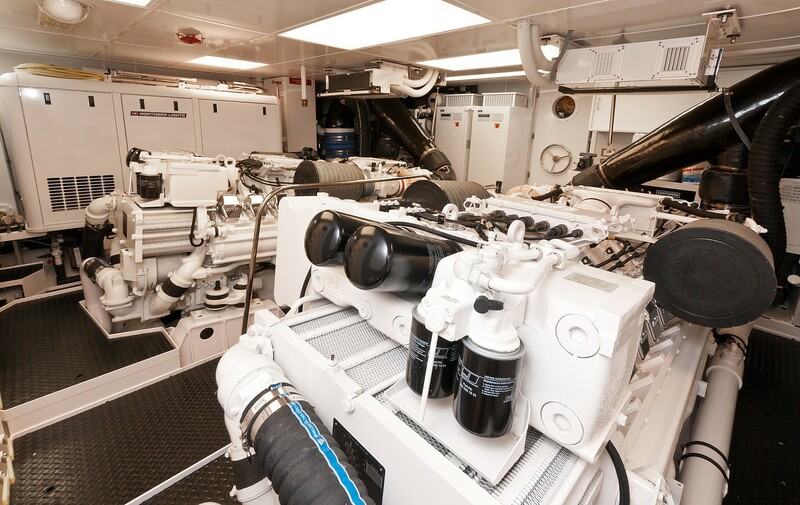 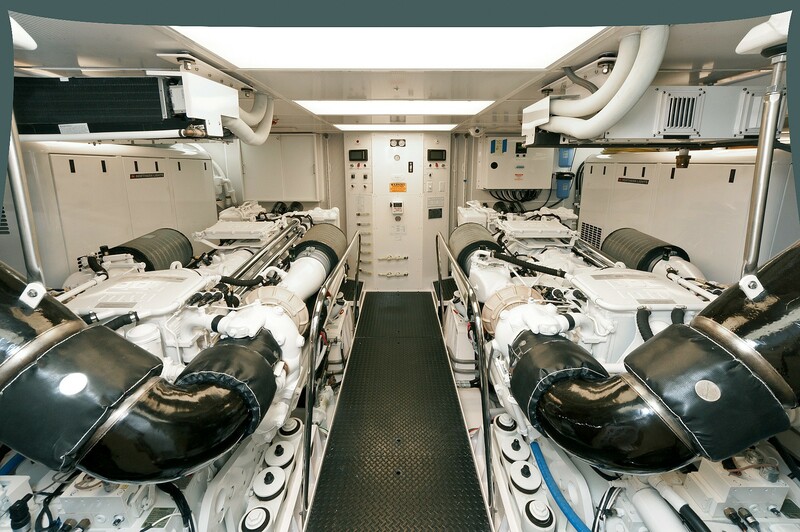 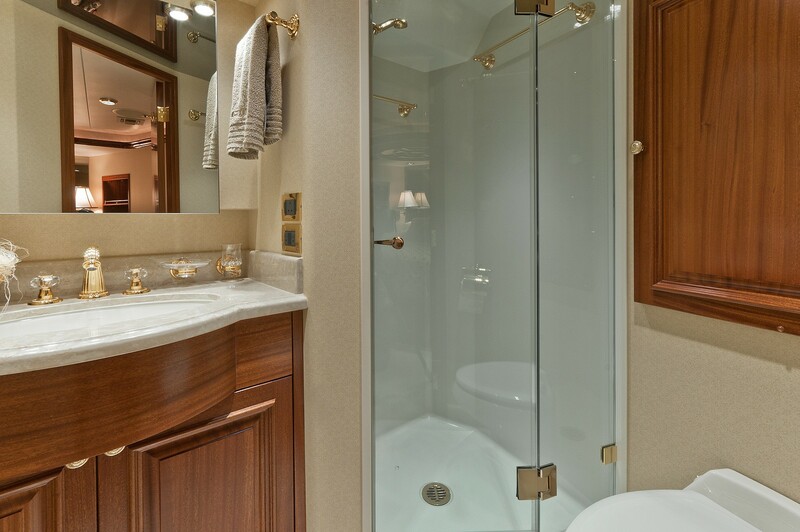 Below decks, the full beam master cabin is amidships and boasts a king size center lined bed, sofa, vanity and his and hers en-suites with central marble shower. 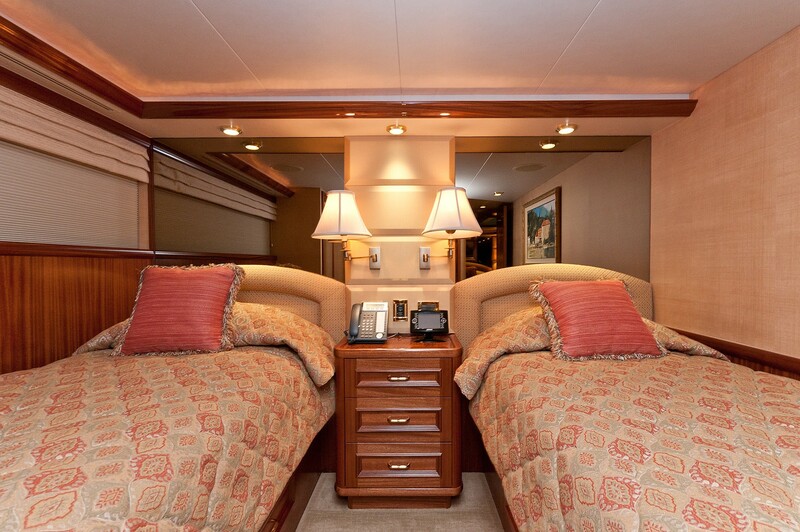 One guest cabin has a queen size bed, while the other offers side by side twin beds. 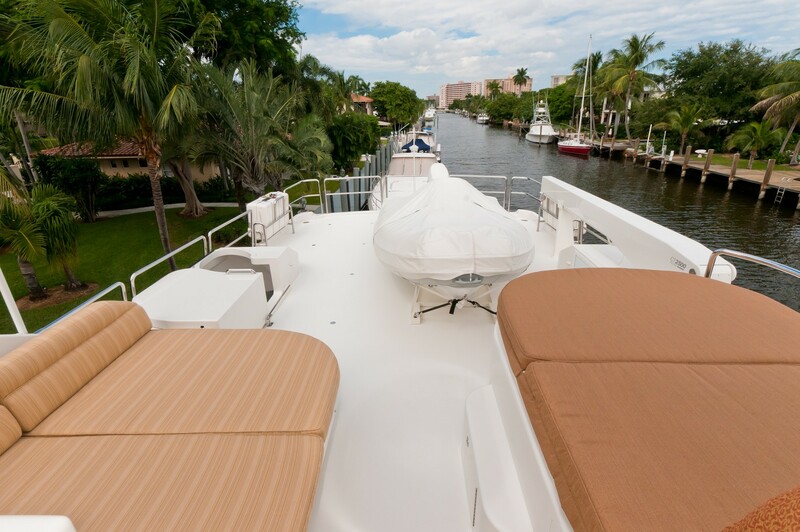 The Westport 112 motor yacht WILD KINGDOM has impressive exterior living, whether entertaining or simply relaxing. 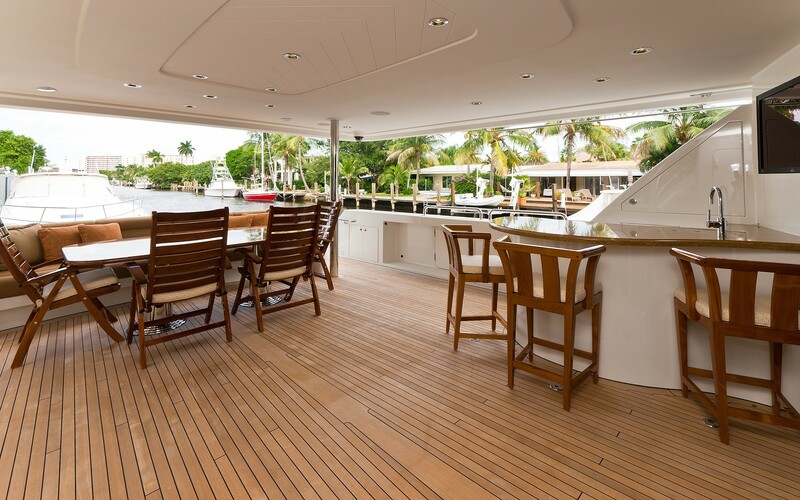 The aft deck is shaded and adjacent to the salon, featuring a large seating area, alfresco dining option, complete wet bar and direct access to the upper deck. 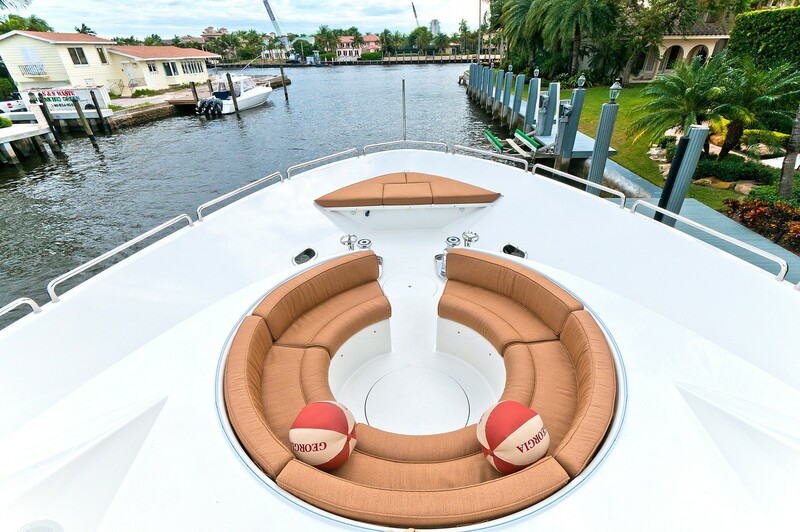 Side decks lead forward, where a circular seating area and sunpads await. 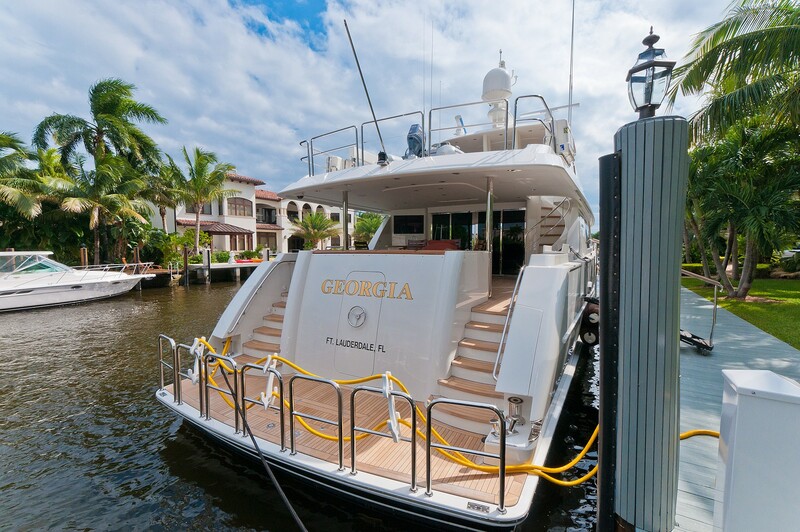 For the active in the group, an extended swim platform makes water toy fun effortless. 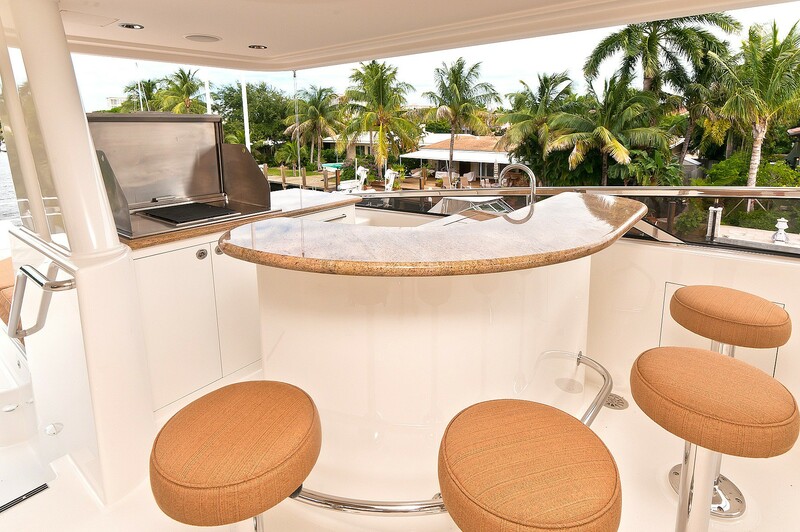 An upper deck boasts partial shade, plenty of seating, cocktail tables, large wet bar with bar stools and a BBQ service area, 2 double sunpads and a luxurious Jacuzzi tub. 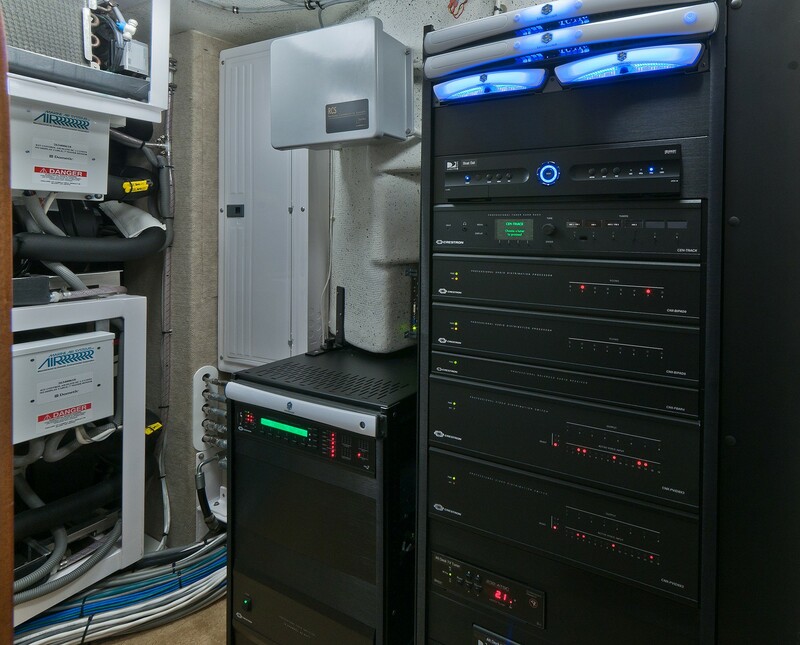 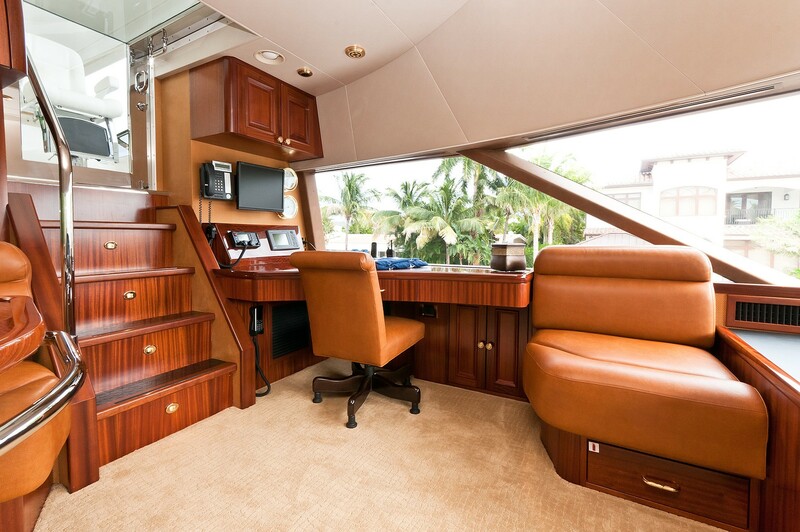 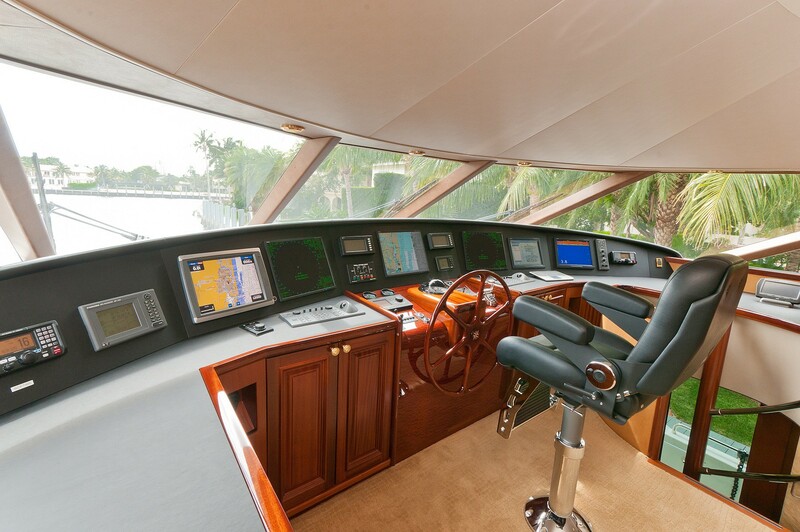 This particular 112 Westport has two ASEA shorepower converters, all LED lighting, a hydraulic passarelle, factory hardtop, waste treatment plant, and many more features that make her a perfect yacht for cruising anywhere in the world. 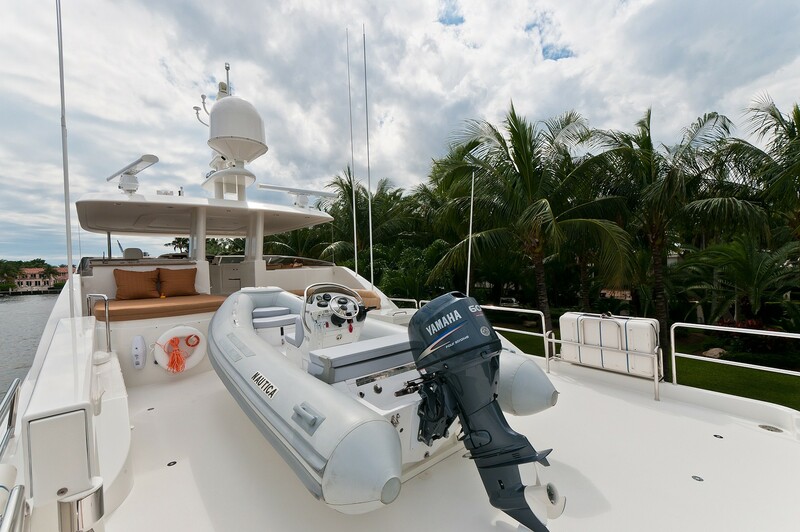 The WILD KINGDOM motor yacht is both seaworthy and fast, and maintains a high level of reliability and consistency that is hard to match with regards to her hull, equipment, and engineering. 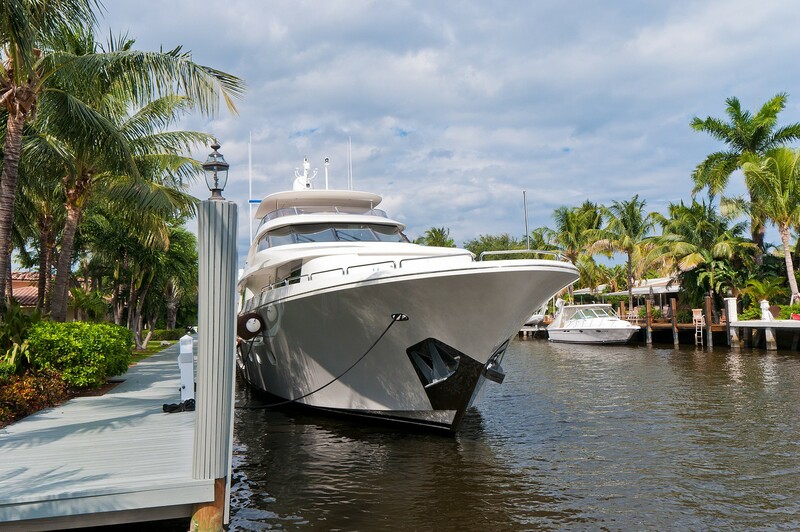 Powered by 2 x MTU 16V2000 engines, M/Y WILD KINGDOM is capable of reaching speeds from 18 knots cruising and maximum speeds of 25 knots. 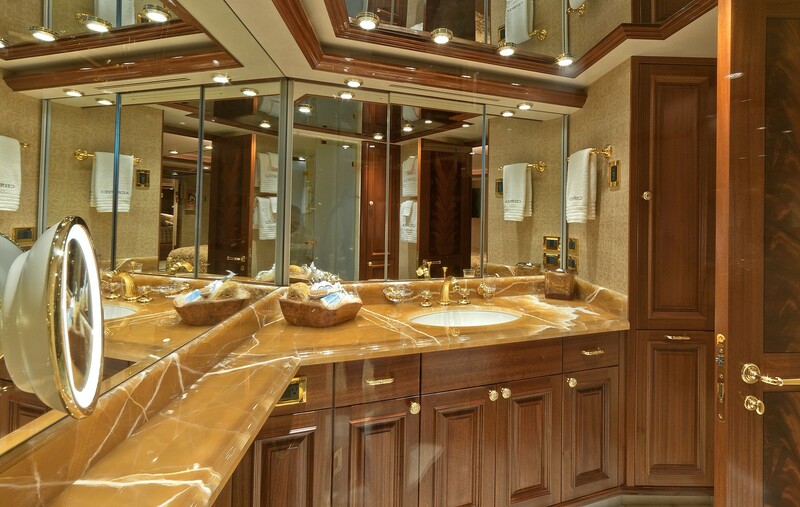 Luxury crewed charter yacht WILD KINGDOM can accommodate up to 8 guests, in 4 lavish and comfortable en-suite cabins. 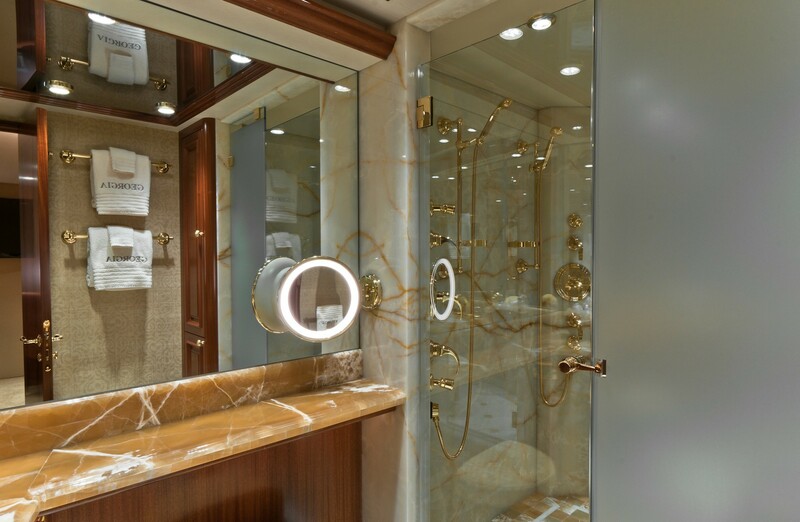 The master stateroom is on the lower deck and amidships, with a center lined king size bed, sofa, vanity and his and hers en-suite, with adjoining marble shower. 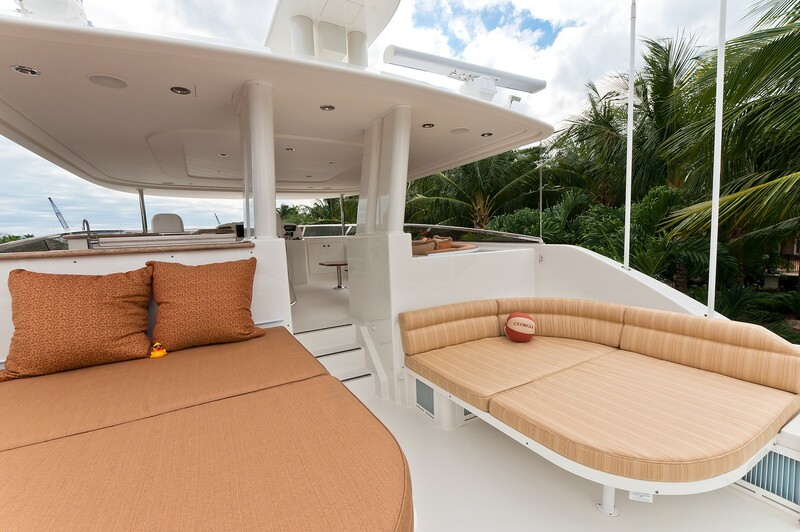 The VIP cabin is on the main deck, forward of the galley, with a private entrance, queen size center lined bed and full beam layout. 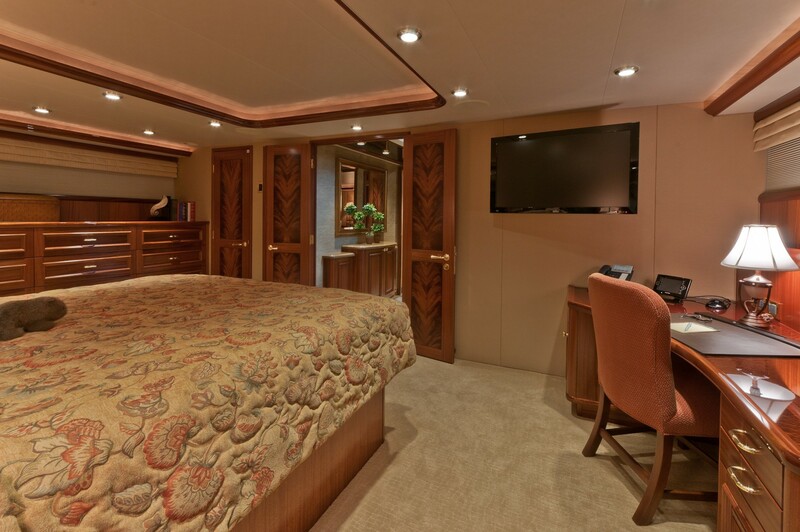 Below decks one guest cabins offers a queen size bed, another guest cabin has side by side twin beds. 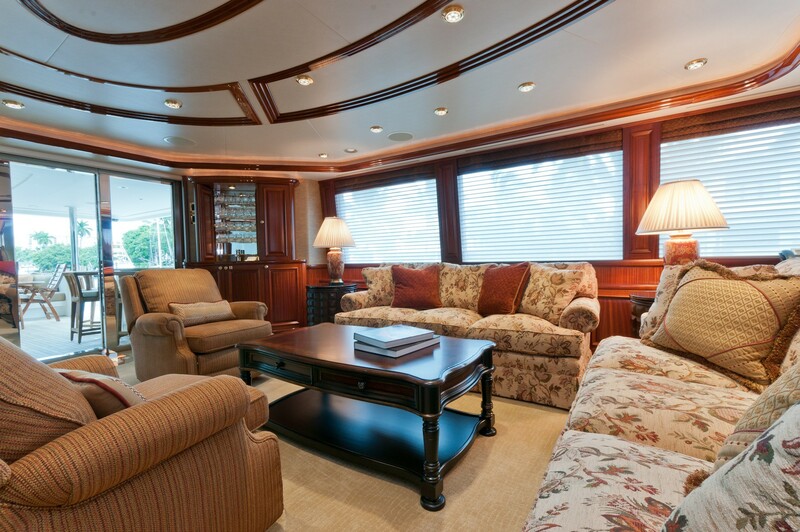 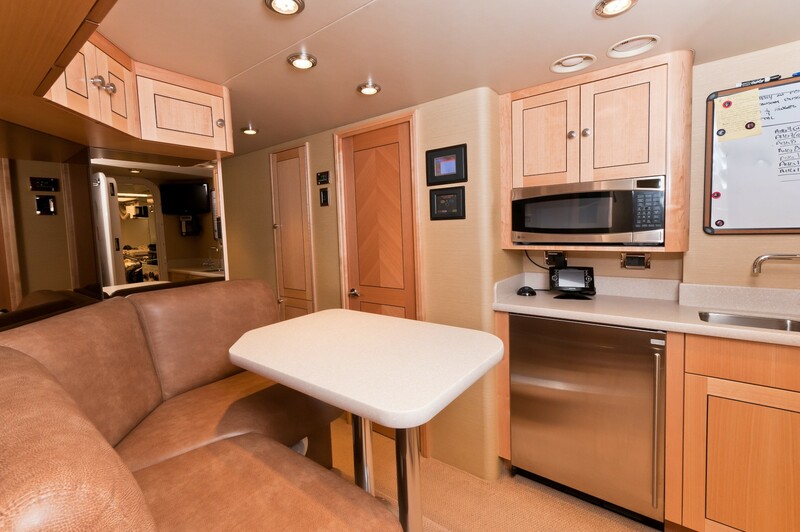 All 4 cabins are stylishly appointed and boast TV entertainment systems. 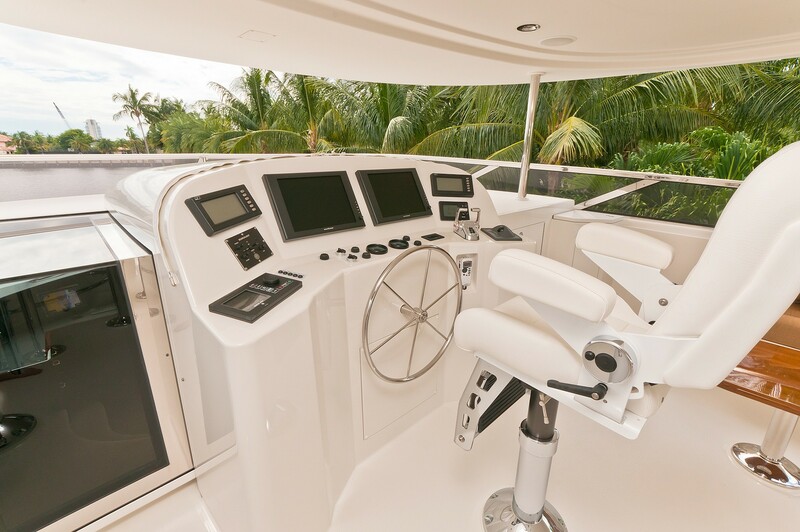 Tenders & Toys onboard the Bahamas charter yacht WILD KINGDOM include a 31’ Novurania Towed Tender, 2 x Kawasaki 2014 Ultra 310lx, 2 x Standup paddleboards, 1 x Knee board, Assortment of towable toys, Snorkel gear, Audio Visual Equipment and Deck Facilities include Kaleidescape movie server, Crestron controls, All LED lighting, HDTV 46” flatscreen TV in main salon, 42” Plasma TV in master stateroom, Surround sound speaker system with powered sub satellite receiver, Direct TV Satellite receiver (recordable), Samsung DVD player, Handheld Crestron remote, Entertainment center and 26” TV in all other guest staterooms.